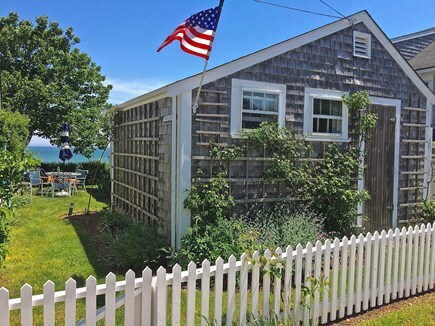 FRED'S SHED has been a honeymoon destination for 40 years. 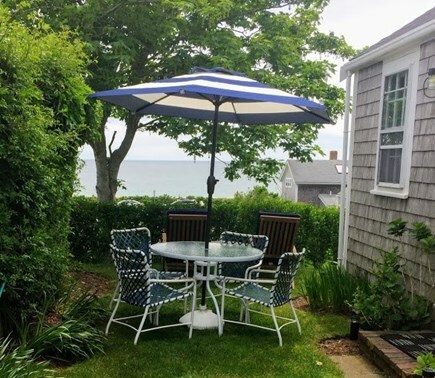 This charming cottage has it all - central location in historic 'Sconset and two minutes to the beach. 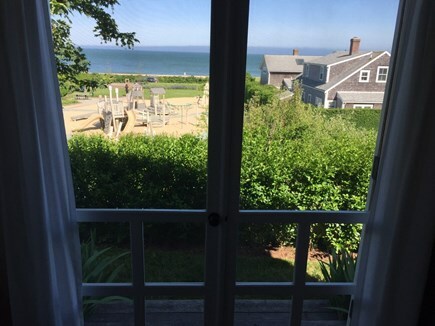 Lie in bed in the morning and watch the sunrise over the ocean through the oversized bedroom window. 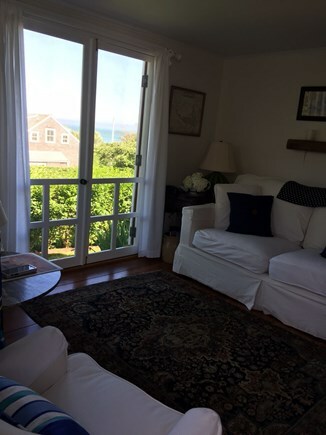 Cottage has a living room/dining area dominated by french doors that look out to sea. 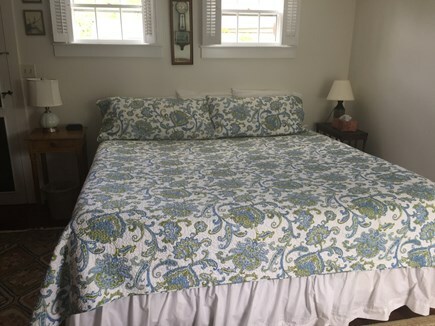 Walk through the galley kitchen into the spacious king bedroom. Off of the kitchen is the bathroom with shower only. 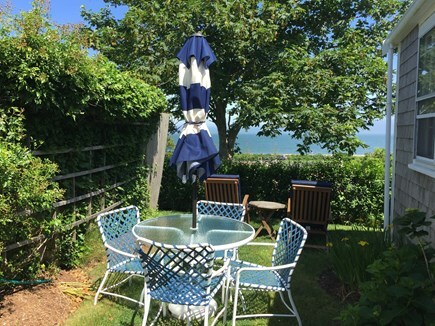 Side yard has a table & chairs with umbrella, 2 chaises and a charcoal grill. Parking is in the small parking lot near the market. What a great view! Such great hospitality - great house - pure greatness. Wonderful spot. 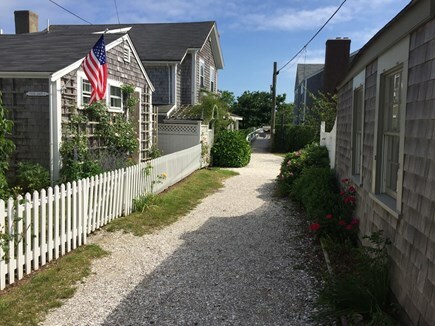 Terrific sunrises, water views, walk to beach... market and restaurants just steps away... literally. Looking forward to year three at Fred's Shed in 2019! 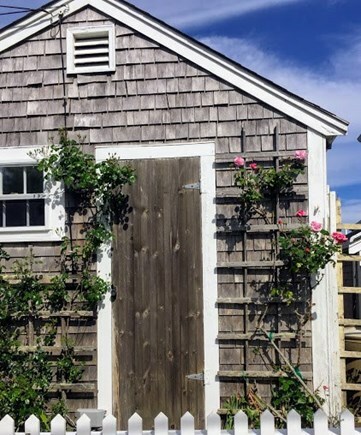 We happily returned to Fred Shed this past July and it was wonderful! 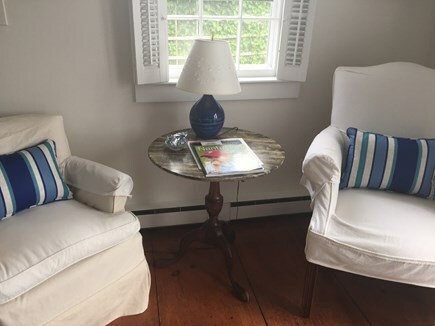 The cottage is equipped with everything you could possibly need! The view is amazing and it was so clean and comfy. We rented the cottage from Karla and Thea's mother many years ago....she always welcomed us and made us feel right at home, her daughters did the same! We loved it there and hope to return soon! 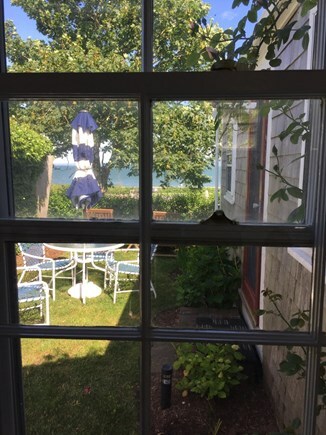 Thank you for sharing your little slice of heaven in Sconset! Magical!!!! 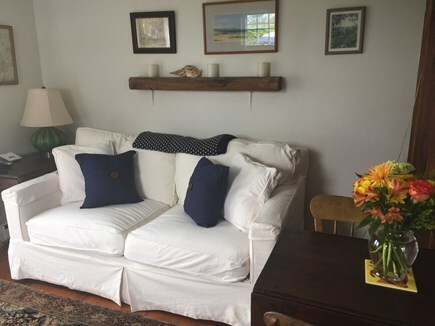 If you are looking for a charming, cozy, comfortable, peaceful ocean-facing spot in Sconset, this is your rental. 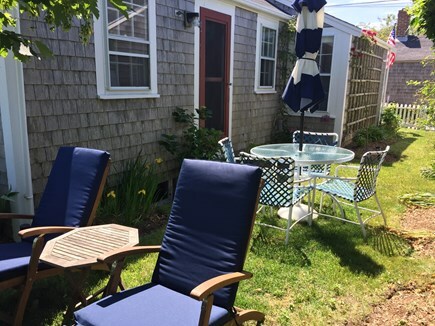 Fred's Shed has everything you need to feel at home on vacation - comfortable, sun-lit living room with french doors looking out to the ocean and amazing sun/moon rises, complete kitchen (even though it's tiny) and quiet bedroom with king bed made with good linens. There's a washer/dryer, wifi, tv with cable. 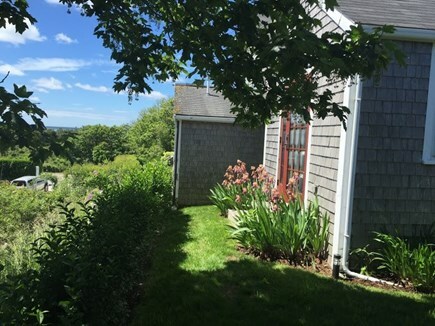 The cottage is steps away from Sconset center, on a quiet shell-lined foot path (no cars) - parking is always available in Sconset public parking, 50-75 steps away.